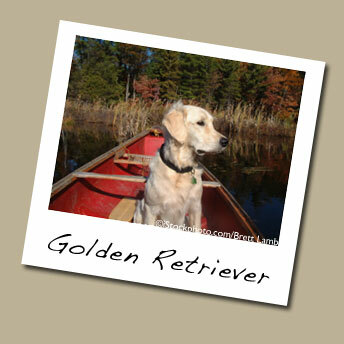 Elegant, with a flowing coat of spun gold, the Golden Retriever actually comes in shades from pale blond to red. One of the most popular breeds in America, the Golden is a darling of the show ring, but many strains are still hunted to advantage by both waterfowlers and uplanders. A loyal companion, the Golden is among the most trainable dog breeds around. [At one field trial Scott gunned for, all three top dogs were Goldens!] Field strains are smaller, lighter-boned, and with shorter coats lacking most of the “feathering” of show dogs. Many will describe them as “softer” than other retriever breeds, but a hunting Golden’s owner will counter that with their strong desire and willingness to please. A cross of “Yellow Retrievers,” a water spaniel, and later additions of Irish Setter and Bloodhound, the breed was refined by Lord Tweedmouth in the Scottish Highlands specifically for hunting in the formidable Scottish weather and terrain. Besides retrieving ducks and geese from water, many goldens are used in the uplands as well, quartering a covert until they flush a pheasant or other bird for the gun. Learn more at: http://www.akc.org/breeds/golden_retriever/.